Siachen Glacier is located in the Karakoram ranges of Himalayas at the altitude of about 5,573m ( approx. 19000 ft) above the sea level. Temperature falls as lows as -50 degrees. It is the highest combat zone and the climatic conditions are too harsh, making the terrain inhabitable. Tough conditions altogether combine and cause a number of illnesses like memory loss, frost bites, and lung infections. In short, body starts deteriorating. Since 1984 till now, this glacier has claimed over 700 deaths of soldiers. Most of the deaths are caused by the weather rather than the bullets of enemy. At such a height, daily activities like cooking food, eating, bathing becomes extremely difficult. In the case of sickness or any other emergency evacuation, help is dependent on the army chopper. Their flight is again dependent on the weather conditions. If weather is not clear, then soldiers have to watch their co-soldiers die helplessly. Snow storms may last as long as three days. In the condition of snow storms and avalanche, soldiers have to keep using the shovel as snow could be of more than a feet. Helicopters also need to fly at such an altitude to provide food packets and other supply. 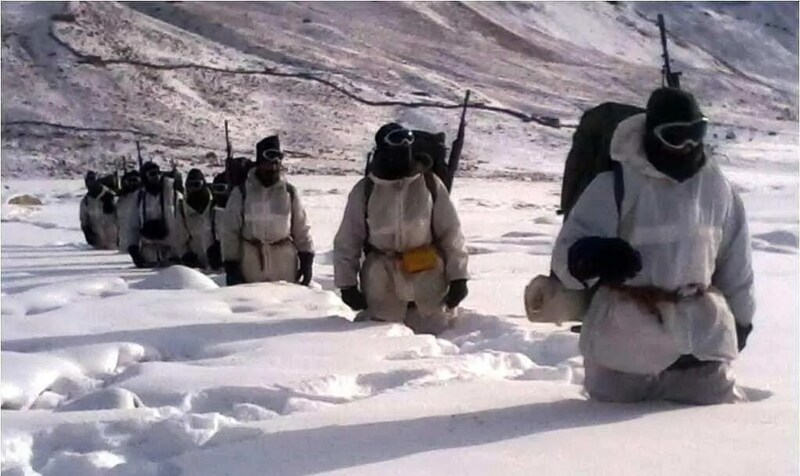 Whenever, a soldier gets posted at Siachen, he is first accommodated at Leh for one year to become accustomed to the heights and weather conditions. Accounting to so many deaths, many times discussion arises to withdraw the army forces from Siachen. Since India dominates Pakistan in terms of height and is thus considered advantageous to us. Also, trusting the neighbor could be a huge mistake. So there is no contemplation of withdrawing army from Siachen. Every soldier at Siachen is a hero, a real hero. We need to salute them at every opportunity we get. They are serving the nation and protecting us despite of being in harsh and inhabitable climatic conditions, where the mortals like us cannot survive.